Scent: Sweet, woody, fruity, floral aroma. Action: Anti-infectious, antibacterial, antiviral, antiparasitic, antifungal, antidepressant, mildly analgesic, antiseptic, aphrodisiac, bactericidal, cephalic, deodorant, insecticidal and stimulant. It has been researched for its inhibition rate against gram positive and gram negative bacterial growth. Benefits, Indications: Acne, candida, depression, eczema, oral infections, dry skin, vaginitis. May create skin elasticity and is soothing to the skin. It is recognized for its ability to get rid of candida of the skin and slow the aging process. It may also be beneficial for cuts, nausea, tissue regeneration and wounds. It helps to create a synergism with all other oils. When feeling overburdened by the world, this oil will lift your spirits and have a balancing action effect on the mind and body. It is used with good results in reducing headaches, colds, coughs, fever and infections and is a boost for the immune system. Its aphrodisiac properties are useful to sort out sexual problems such as impotence and frigidity. It is an excellent oil to use in skincare, as it sorts out dull, dry and oily skin, while having a cell stimulant and tissue regenerating action on the skin which promotes rejuvenation of the skin. Precautions: Rosewood oil is nontoxic, non-irritant and non-sensitizing oil and is generally regarded as safe. Classification of Amazonian rosewood essential oil by Raman spectroscopy and PLS-DA with reliability estimation. Linalool-rich rosewood oil induces vago-vagal bradycardic and depressor reflex in rats. Selective cytotoxicity of Aniba rosaeodora essential oil towards epidermoid cancer cells through induction of apoptosis. 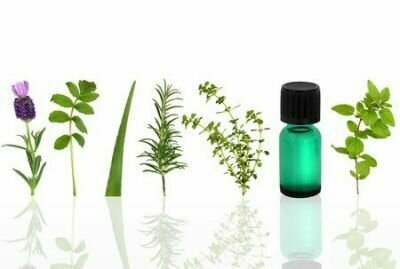 In vitro synergistic antibacterial action of certain combinations of gentamicin and essential oils. Evaluation of leaf-derived extracts as an environmentally sustainable source of essential oils by using gas chromatography-mass spectrometry and enantioselective gas chromatography-olfactometry. The chemical composition of some Lauraceae essential oils and their antifungal activities.